Fr. b: max. L. 0.047, max. W. 0.048 m. Small spike with rectangular(? ), domed head on thick shank, square in section. Rounded mass of iron: a larger spike head, distorted by oxidation? 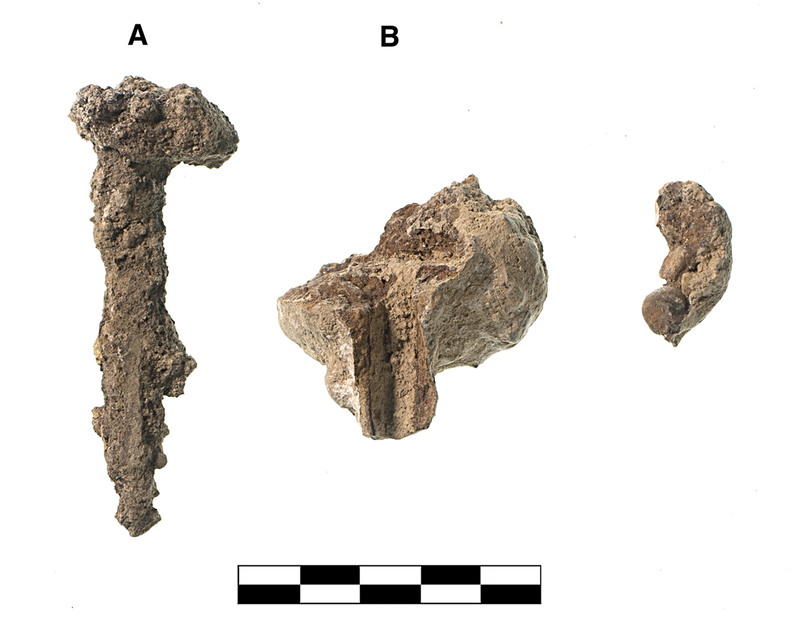 One mostly intact nail broken near tip (a) attached to larger, amorphous fragment of iron fragment (b) with large fragment of plaster intervening, broken on all sides. Severe corrosion and moderate, extensive encrustation.